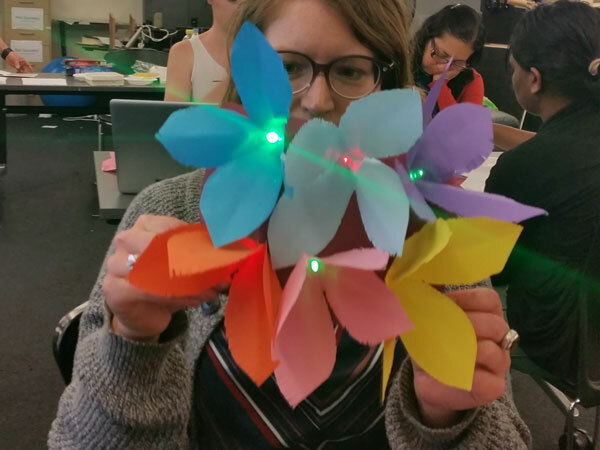 Katari is a workshop on Expressive writing + paper electronics that I designed as part of my master dissertation at Usyd. STEM has a diversity problem. Technology literacy is increasingly more important in today’s society, but most people assume a passive role as consumers of technology. This is especially true for women who tend to be underrepresented in STEM fields worldwide. 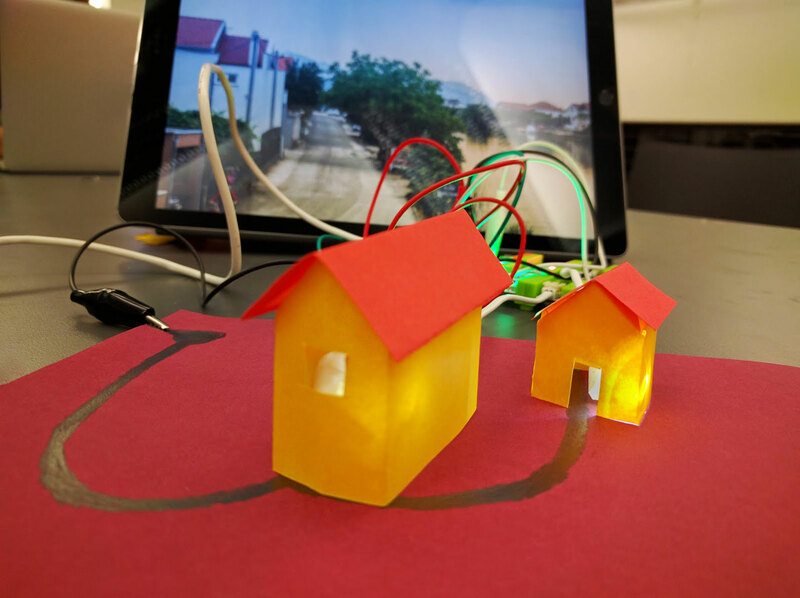 How can storytelling be used to design playful learning experiences to engage students in tangible prototyping with electronics? Can be used as a motivation to explore personal interests. Allows for collaboration and sharing with others. 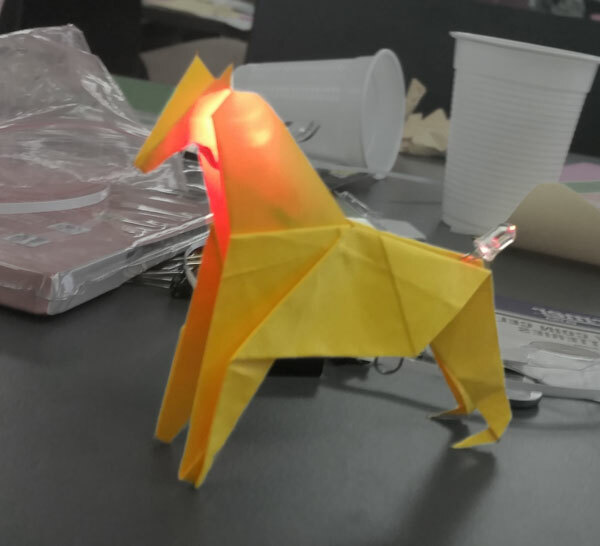 It has been used successfully to improve engagement of students with coding. 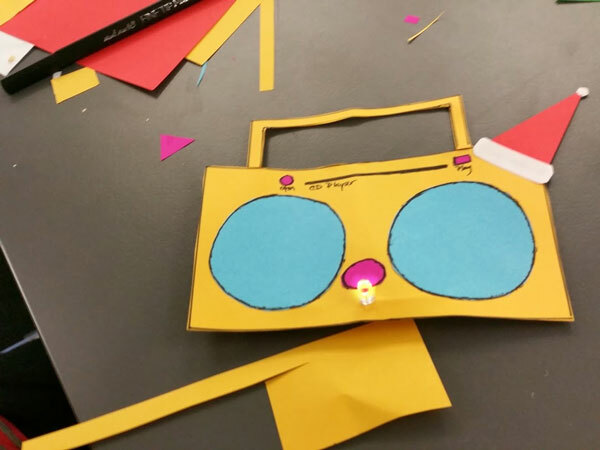 During the workshop students write a short story about something they care about and are then prompted to use it as inspiration for a craft project with paper and simple electronic pieces. 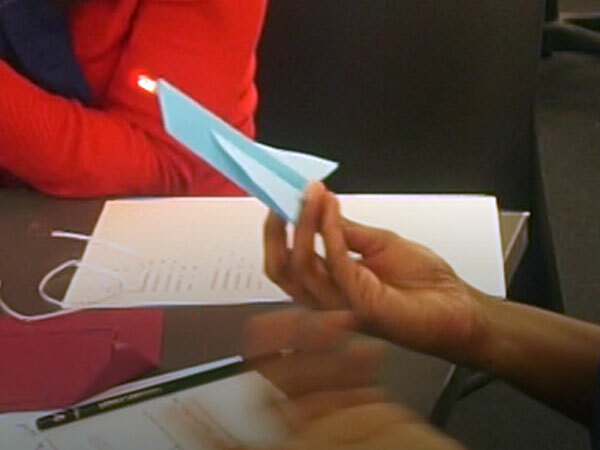 Participants learn basic concepts of electronics while working on a personally meaningful project. Initial results have been encouraging, with women being more likely to incorporate multiple elements of the story in their projects, which could be interpreted as a sign of engagment. “It’s just a combination of my loving the sky gaze and my favourite place is in the trees”.